A cool mix of grape purple and white, this is the natural form of amethyst! 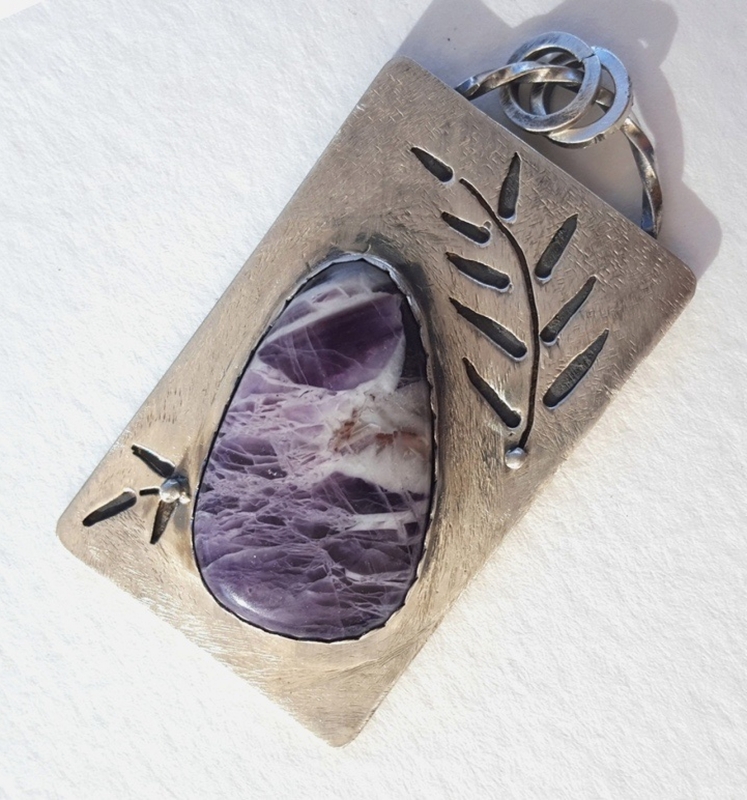 Set in sterling silver and pierced with an original fern design. 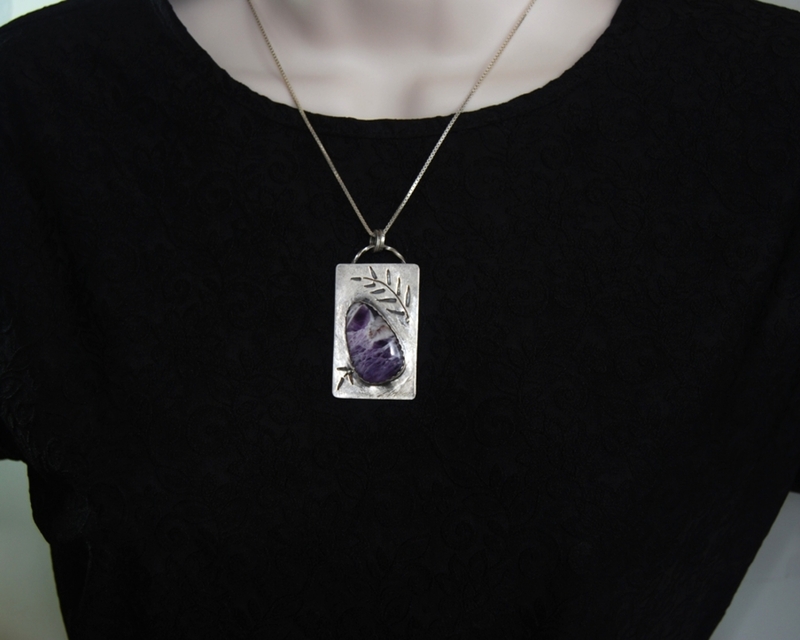 It makes an unusual pendant necklace--not your run-of-the-mill amethyst and a unique setting! 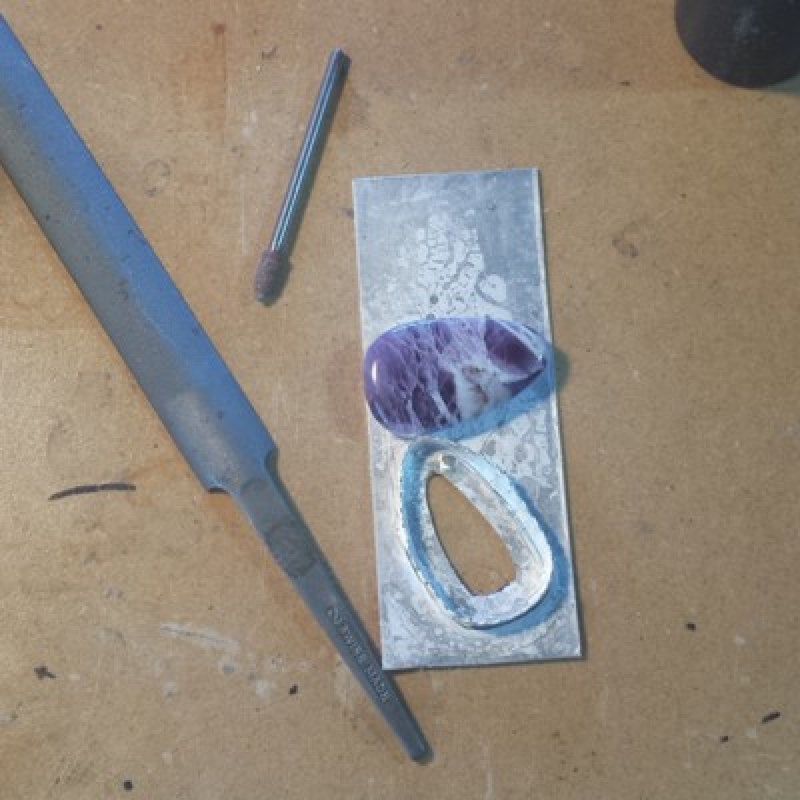 Take a look at all the photos to see some of the creation process! A 20" solid sterling silver chain necklace is included. Metaphysical: Amethyst helps you attain wisdom. It can help you release old "baggage" that may be holding you back. It enhances intuition; can be helpful in healing addictions and curtailing compulsive behaviors. Helps repel bad dreams. 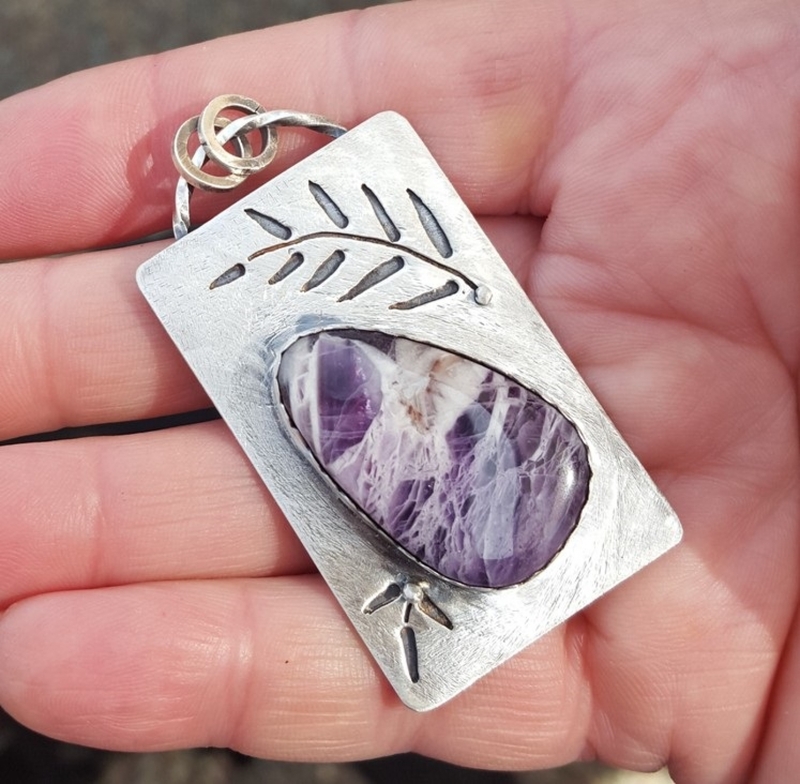 This is a natural amethyst, so please allow for nature's variations in texure and shape; that's what makes them natural and unique! This necklace will come in a gift box--ready to give as a gift or keep for yourself and use for storage. Handcrafted in my smoke-free home studio. My goal is to create an item of lasting beauty and enjoyment.